Jokes aside, Mansell was statistically the most successful British driver of all time until Lewis Hamilton recently dethroned him. During his 14-year Formula 1 career, he was equal parts brilliant and daring, with 31 wins and 32 crashes to his name. Fuel for Thought: Are Gran Turismo Players Training to Become Future F1 Drivers? He drove his first car at the age of seven and the same year watched the legendary Jim Clark win the 1962 British Grand Prix. Like any young boy would do, he excitedly pledged to do the same. Unlike most young boys, however, he saw his dreams through to the end, no matter what. In 1977, Mansell became the British Formula Ford champion despite suffering a broken neck in a testing accident. Doctors had told him he’d nearly been crippled. He was to be confined for six months and would never race again. Instead, Mansell snuck out of the hospital and went straight back into the cockpit. In 1979, while competing in Formula 3, a major crash caused his car to cartwheel into the air and got him right back to the hospital. But what’s a broken vertebrae when you’re trying to get into Formula 1? Shortly after, he tried out for Lotus and did well enough to become their test driver, not without some help from painkillers and pretending he was feeling better than he really was. His 1980 debut at the Austrian Grand Prix proved to be more of the same when a fuel leak in the cockpit left him with painful first and second degree burns on his behind. But nothing seemed to deter him. 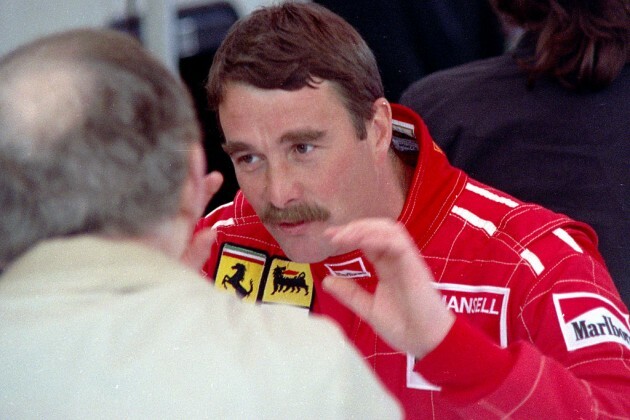 For the next four years, Mansell would start at 71 Grand Prix with no wins to his name. Yet his fierce determination and aggressive driving style had everyone certain it would eventually happen, especially after he moved to Williams in 1985. Once he did win, at the European Grand Prix of that same year where he famously wept on the podium, there was no stopping him. In the following 18 months, Mansell won 11 races and could have won two World Championships had it not been for more misfortune. In 1986, a tire bursting at the very last moment in Adelaide eliminated his chances at the title, and in 1987 he suffered a spinal concussion in a qualifying accident at Suzuka. In 1989, Mansell won his debut race with Ferrari. Throughout that year, the way he wrestled his car into submission impressed the Italian tifosi so much that they came to call him “Il Leone,” or “The Lion.” Back at home, he was known as the British Bulldog. He retired at the end of the 1990 season because he didn’t want to be Alain Prost’s teammate, only to come right back in 1991 to his old Williams team, winning five times that year but losing out on the title because of reliability issues. It’s fitting, then, that one of the most doggedly persistent drivers in the history of the sport finally got his World Championship after trying for no less than 13 years. He dominated the 1992 season by winning 9 of the 16 races and was crowned champion. No sooner had he finished celebrating that he announced his second retirement, motivated by internal problems with Williams and the idea that Prost might be joining. The team offered him a last-minute incentive of whatever conditions he wanted, but the British Bulldog instead went off to race in the CART IndyCar World Series. This time, though, it didn’t take years to get results. 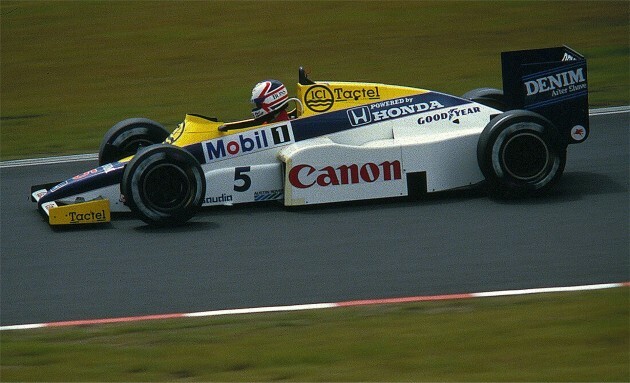 Despite the unfamiliar oval tracks making him dizzy, Mansell crushed the competition and became the 1993 CART champion. To this day, no one else has ever held both titles simultaneously. In 1994, Williams convinced him to return for the last four races, the last of which he won. He raced twice for McLaren the year after but decided the car wasn’t good enough and finally left Formula 1 for good. We’ve never had anyone quite like him to cheer on since.